MADRID – Unbeaten Barcelona added to its domestic dominance by winning the Spanish league title for the third time in the last four seasons on Sunday. 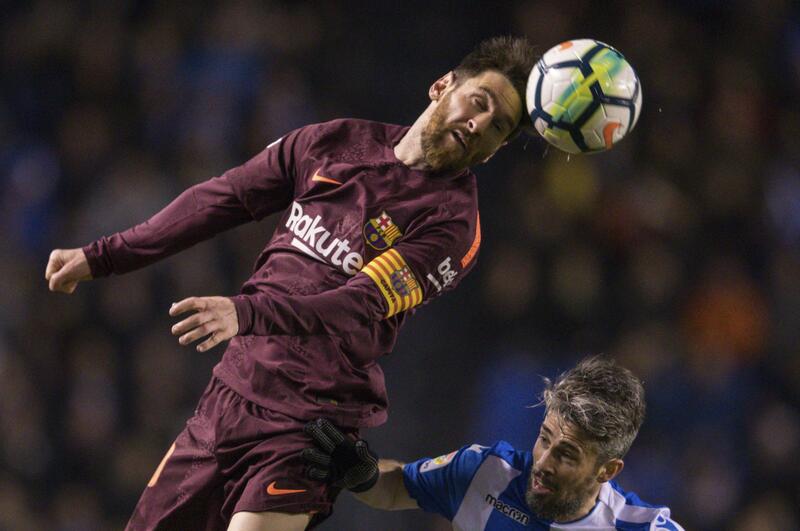 Lionel Messi claimed a hat trick and Philippe Coutinho also scored to give Barcelona a 4-2 win at Deportivo La Coruna as the Catalan club took an insurmountable 11-point lead over Atletico Madrid. Third-place Real Madrid is 15 points behind Barcelona. It was Barcelona’s seventh league title in 10 seasons and 25th overall. Madrid, last year’s champion, remains the all-time winner with 33 La Liga trophies. Barcelona has also thrived in the Copa del Rey, the country’s second-most important club competition, winning it for the last four seasons. Barcelona’s next goal is to try to finish the league unbeaten, something which has never happened in the competition’s current format. Andres Iniesta, who last week announced he won’t return for a 17th season with the club, started from the bench because of a small muscle problem. He entered the match at the end to applause from most of the crowd at Riazor Stadium. Sunday’s result relegated Clarence Seedorf’s Deportivo. Published: April 29, 2018, 7:33 p.m.